Cutty Sark is a famous three-masted clipper ship, launched on the river Clyde at Dumbarton on 22 November 1869 for the Jock Willis shipping line. After a few short years as a record breaker in the China tea trade, she shipped wool from Australia to Britain. 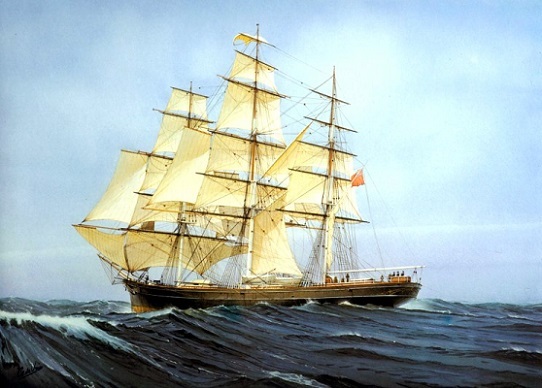 In 1895 Jock Willis sold Cutty Sark to the Portuguese firm Joaquim Antunes Ferreira. She was renamed Ferreira after the firm. Her crews referred to her as Pequena Camisola (little shirt, a straight translation of the Scots cutty sark).